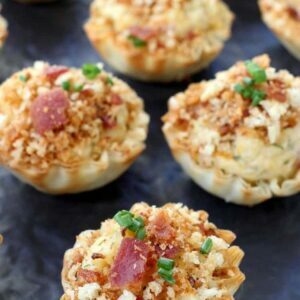 Easy Clams Casino Tarts are a one bite version of your favorite clam appetizer, without all the work! 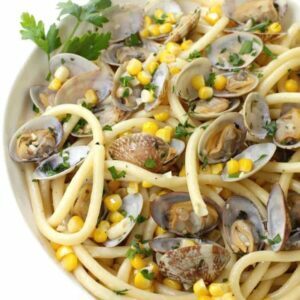 My favorite way to eat clams is to make steamers. Steamers in beer, with a few beers on the side…that’s my favorite way to eat them, all year long, no question. So we buy them in bulk whenever we go. But there’s also clam chowder – definitely up there on the list, fried clam strips…all good. And then there’s the classic Clams Casino. Clams Casino seems to be one of those appetizers that you only order at restaurants, meaning for me I don’t have them very often. 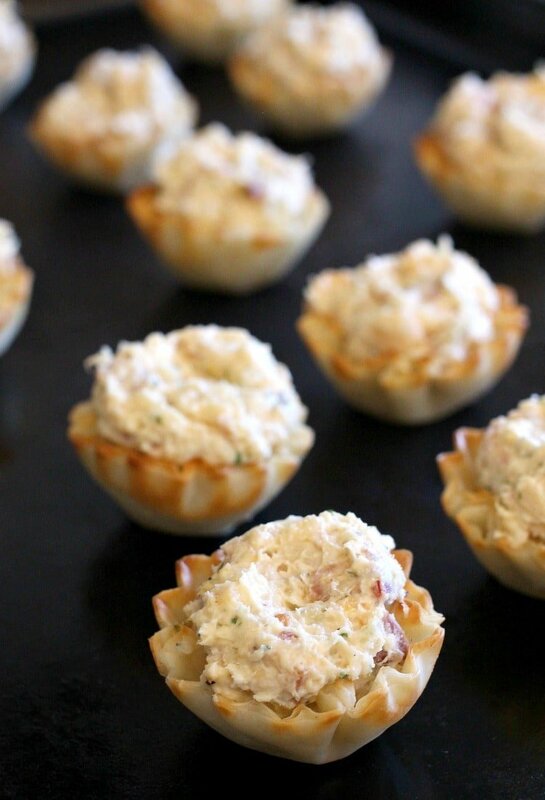 It sort of seems like a fancy appetizer, even though it’s basically clams and bacon, it just doesn’t seem like something I’d throw together at home. I took the basic idea behind this fancy clams casino and turned it into an easy, fun appetizer that I know you’re going to love! And when I say easy, I really mean easy. The ingredients for the filling go into a bowl and get stirred together. Simple enough. 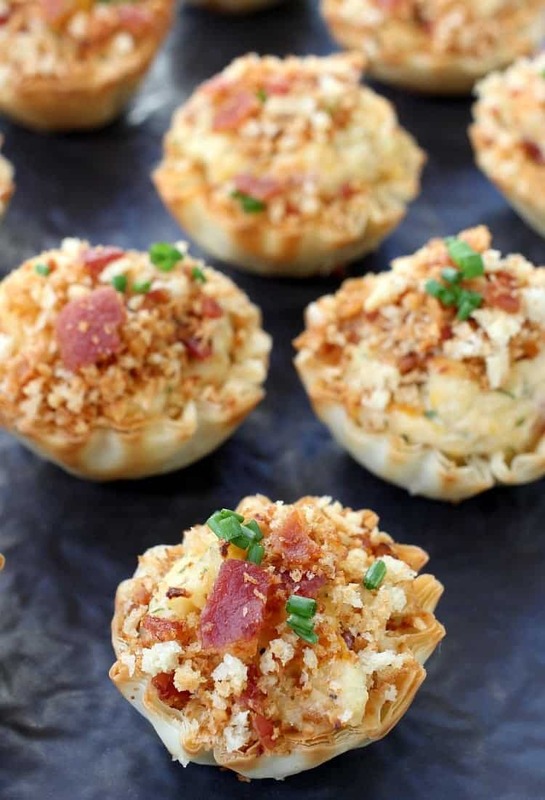 Next grab some store bought phyllo dough cups and start filling them up. Don’t be stingy here, give them a good scoop. While the tarts are in the oven you can make the crispy panko topping. Just add panko and some of the crumbled bacon to a pan and toast for w few minutes. Topping done, just set it aside until they come out of the oven. 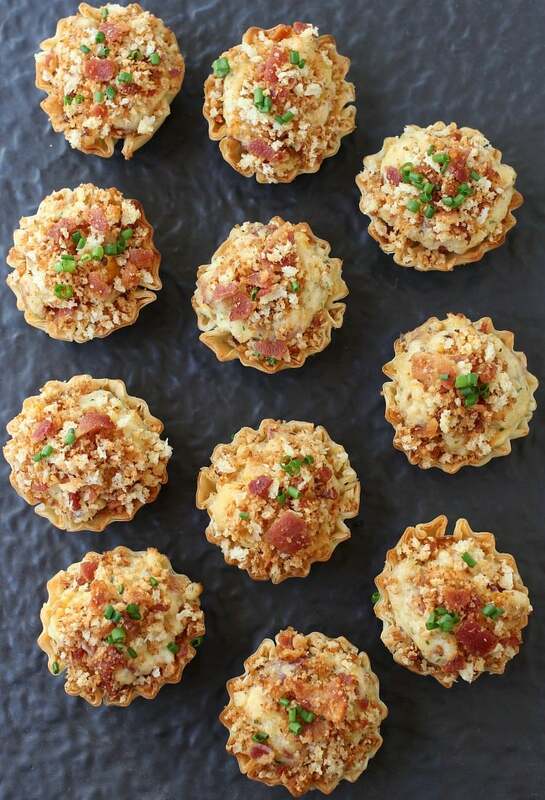 Bake the tarts at 350 for 15 minutes then pull them out and top them with as much of the panko-bacon topping that you can…this is really the only part you might need some skills for. Getting the topping to stay on top of the tarts. As you can see from mine I got an A for effort. Take your time, you’ve got this. Doesn’t get much easier than that! And no one will ever guess that it only took you about 20 minutes to put together. 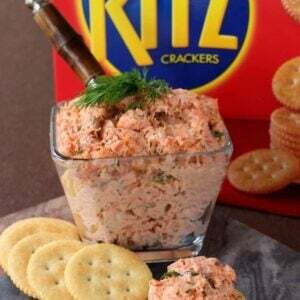 Fancy food turned easy, even if you take the extra step and add a few chopped chives. 1 lb. bacon, cooked and crumbled, reserving 1/4 cup. 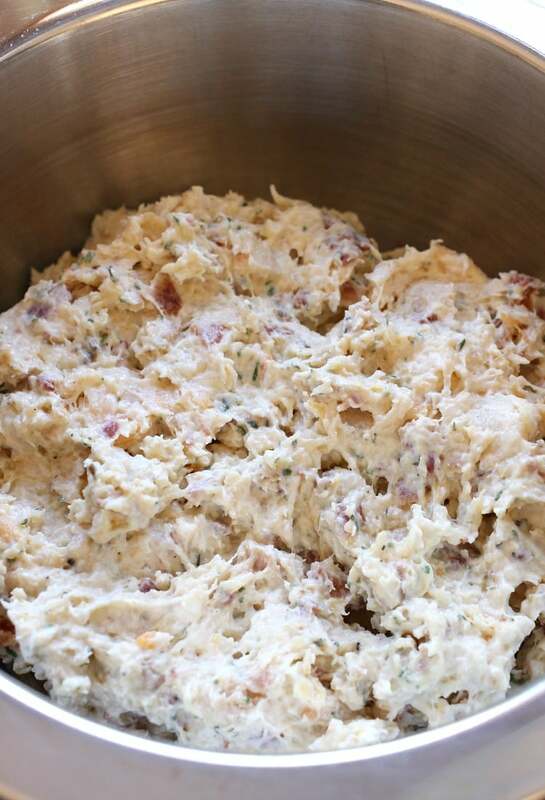 In a bowl, stir together the clams, cream cheese, bacon and ranch seasoning. 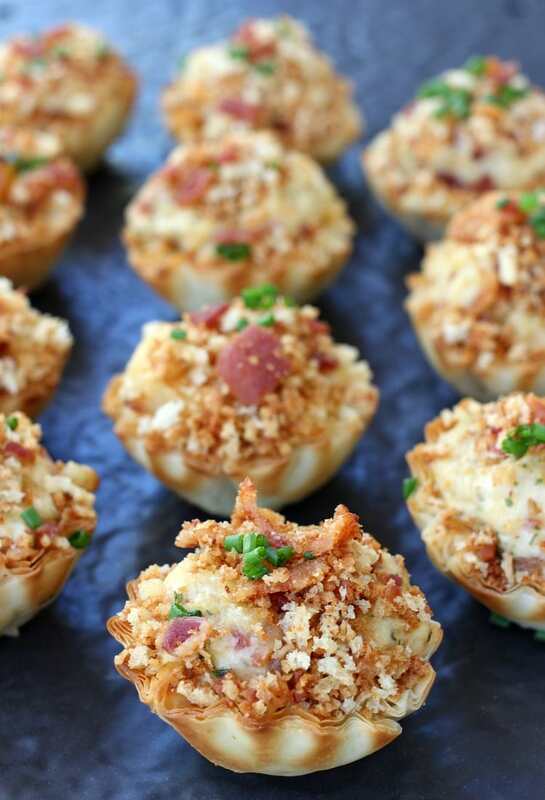 Place the phyllo cups on a baking sheet and fill with enough of the filling to come to the top. 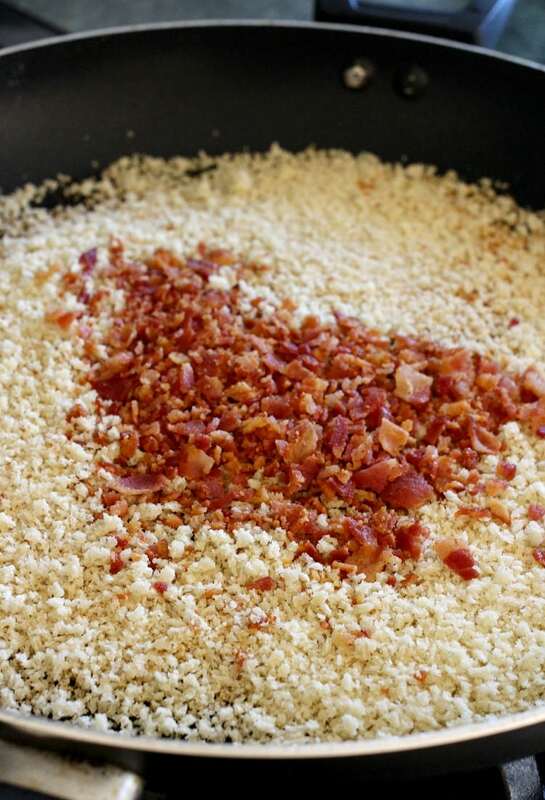 While the tarts are baking, add the bread crumbs to a dry skillet along with the reserved 1/4 cup of crumbled bacon. Toss until the bread crumbs are toasted then remove from the heat. Remove from the oven, top with the panko/bacon topping and chives if using and serve. 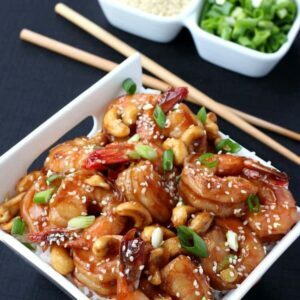 What a genius idea, looks so good! Thanks Krystle! They’re pretty easy too!